Combining her love for travel and event planning, Jessica is the Events Coordinator for Verge Magazine's Go Global Expos. 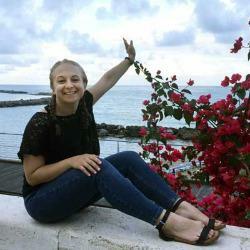 She graduated with a Bachelor of Business Administration from the Schulich School of Business, and has recently returned from teaching English as a Second Language in Italy. Jessica is excited to continue exploring the world in meaningful ways, and is passionate about connecting others with opportunities to do the same.